The Chehalem Park & Recreation District is targeting a February opening for its renovated fitness center as crews continue plugging away inside the facility. The flooring in the exercise room has been installed and the pine wood for the basketball court is being put in. 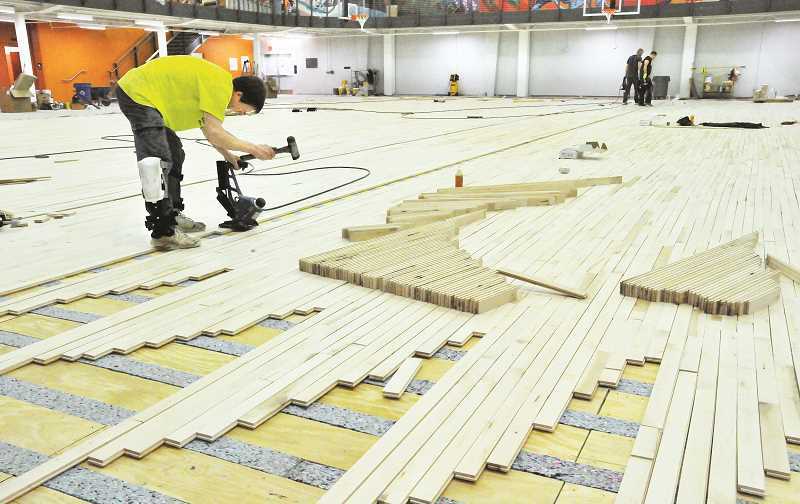 According to project manager Jim McMaster, the next steps are to sand the wood, coat it with a finish and paint the lines on the court. "We have the building heated enough so the wood is acclimatized to the environment," he said. "The mural around the track is completed, the track is all done and about 60 percent of our fitness equipment is in." McMaster said the crew was waiting for a piece of electrical equipment for the elevator, too, causing further delay to what has already been a drawn out process. Shipping issues with manufacturers have been present throughout the renovations, particularly when it comes to the fitness equipment. "All the cardio equipment is in," McMaster said. "Most of the free weights will be in as well, but the rest has a long wait time due to the manufacturer being in South Carolina. It takes a while for those pieces to get set up." A "soft opening" is likely for the fitness center, according to McMaster, with an official date to be announced soon. 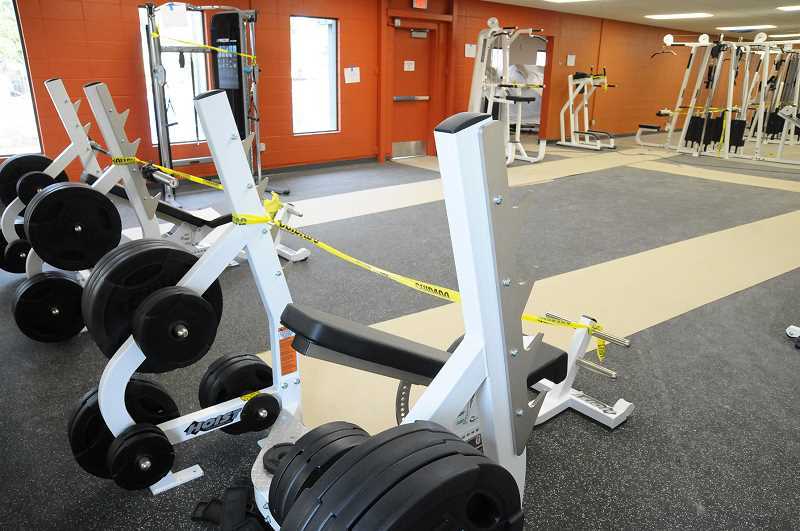 The facility is likely to open without a portion of the fitness equipment in place, but everything else is going according to plan. The public's patience, McMaster said, has made the process easier. He added that he would have liked to have everything in place sooner. "People are just very excited," McMaster said. "It's going to be state of the art everything when all the equipment is in there. They're looking for fitness instructors now that we have an area to do that, and we're trying to make this fitness center as contemporary as possible." The final product will include a basketball court, raised track with a mural across three of its surrounding walls, space for fitness classes and myriad pieces of cardiovascular and weight-training equipment. McMaster emphasized that the facility aims to keep up with the latest fitness trends and provide the public with unprecedented exercise opportunities. "I think people will really enjoy it," he said. "I think the fitness center, for a city this size, is pretty amazing, and I appreciate the voters and the board of directors supporting this to make it happen."